This post is sponsored by the American Heart Association. 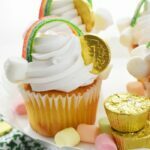 The views, opinions and positions expressed within this post belong to Savvy Saving Couple and do not necessarily represent those of The American Heart Association unless explicitly stated. Two and a half years ago, I lost my father to a heart disease related condition. He had a heart aneurysm that ruptured and killed him instantly during a peaceful sleep in his home. It was such a shock at the time that my only newly turned 51-year-old father could die so young, and leave behind young children grandchildren, and a wife. I love my father dearly and there is not a day that passes by where he is not in my thoughts. The truth is, now that I reflect on it, I truly feel my father’s early demise could have been prevented. He was, unfortunately, a smoker, slightly overweight, and never exercised or ate right. I can remember his love of meat, cereal, and lots of sugary sweets. While my father loved growing vegetables, eating wholesome meals like the featured Avocado Feta Salad was not on his menu. Can you believe I never saw him exercise one day in my life? My father’s early death took months to sink in, but now I am only more fueled to maintain a healthy lifestyle. I don’t want a crash diet or a restrictive plan, but just a balanced way of living. After his death, I joined a gym and began slowly transforming into a healthier me in all facets of my life. One of the small changes I made in my diet was to save greasy, fried meals for occasional indulgences. Gone are the days of fries, burgers, and deep-fried foods weekly. Now that I can reflect on it, I was eating like pure garbage. I felt sluggish, unmotivated, and depressed. 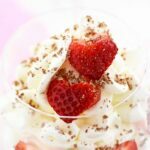 The truth was I was addicted to bad foods that did not love me back! Now, almost 2 years into my lifestyle change, and each month I am losing weight, becoming stronger, and feel all around nourished. My change is quite easy and just involved nixing processed foods from my diet and eating nature’s rainbow daily. Each day, I get my complete fruit & vegetable servings from tasty smoothies, quick salads, and lean proteins. 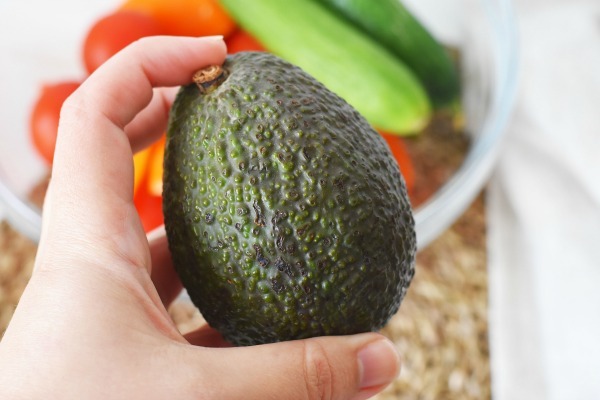 My all-time favorite heart-healthy food to use in my cooking are Hass Avocados. 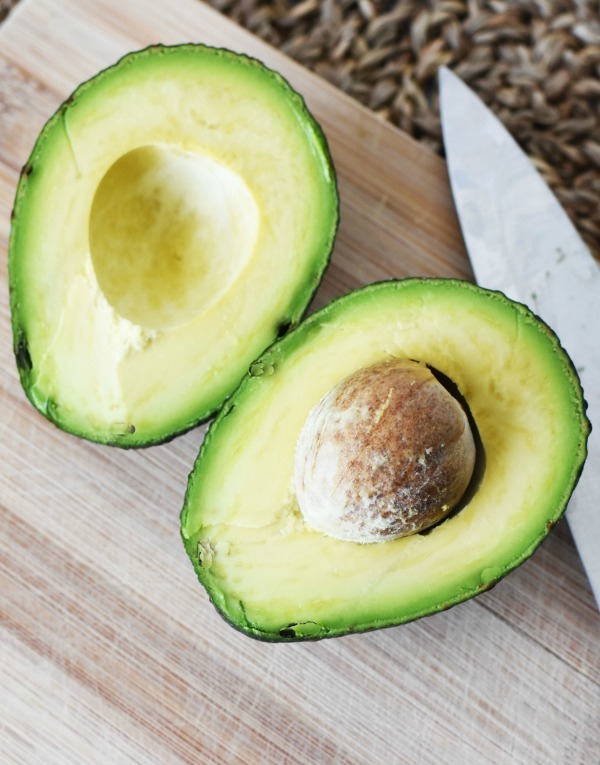 I love the creaminess and versatility of these avocados and the fact that they are loaded with heart-healthy omegas. I eat them mashed on whole grain toast, in guacamole, and my favorite salads. 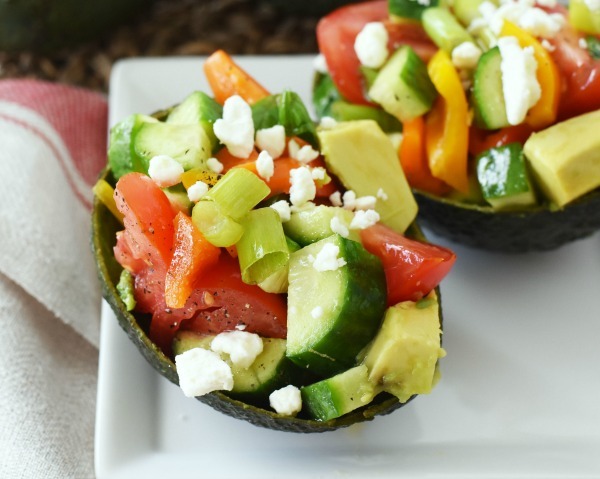 Get more recipes like this one on the Hass Avocado Board’s official site and love one today. I know eating vegetables can be super cumbersome if you just stick to the steamed, or even canned varieties. The truth is, there is no fun in those. 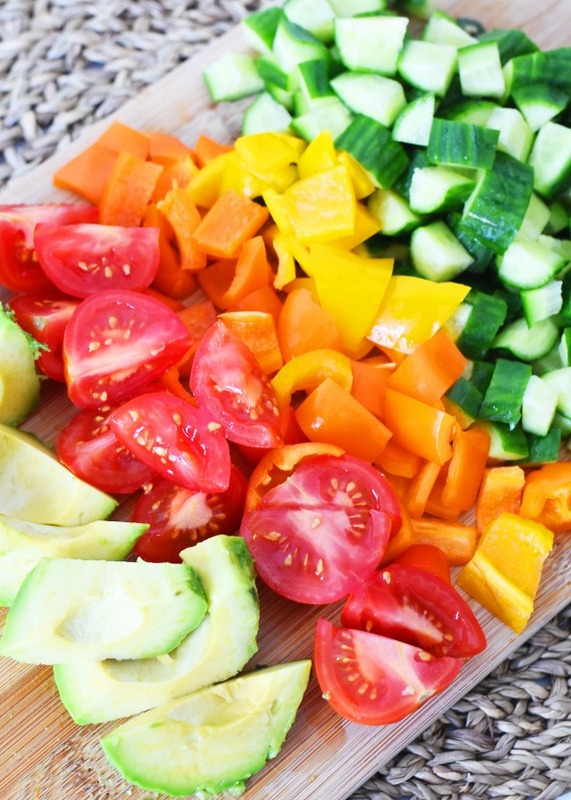 By adding colorful veggies to your shopping list like rainbow peppers, avocados, tomatoes, and cucumber you have the basis for endless salad possibilities. Right now, I am all about fresh and quick salads that can be prepped ahead of time. 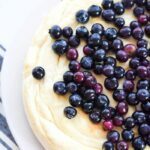 In honor of June being Fresh Fruit and Veggies Month, I wanted to share a fun and tasty recipe with you all. 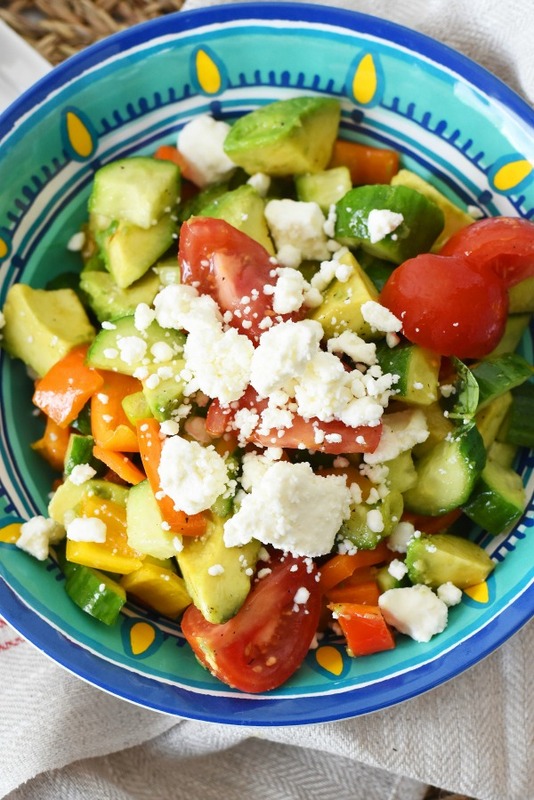 This Avocado Feta Salad is perfect because the peppers, tomato, and cucumber can be chopped ahead of time and stores well in your fridge. When lunch or dinnertime rolls around, all you have to do is slice open a ripened avocado, and whip up the quick lemon dressing. 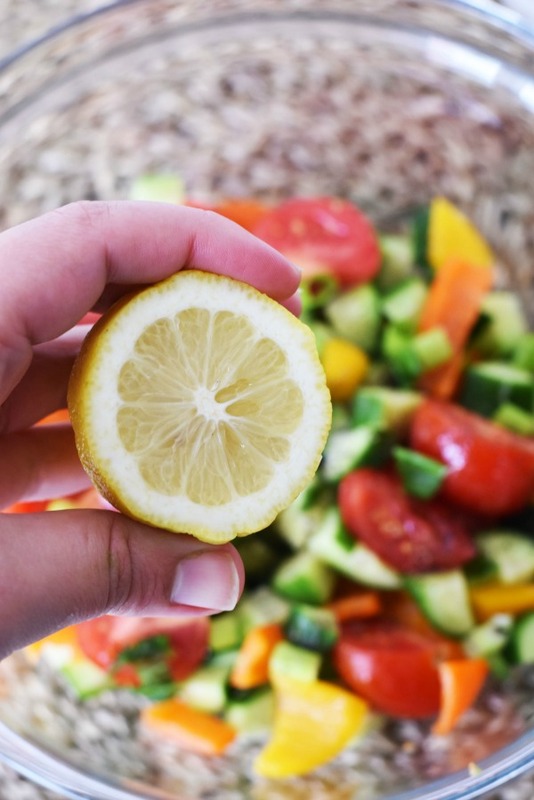 Add these fresh ingredients to your pre-chopped veggies, and top with a little feta cheese for a perfectly balanced dish. 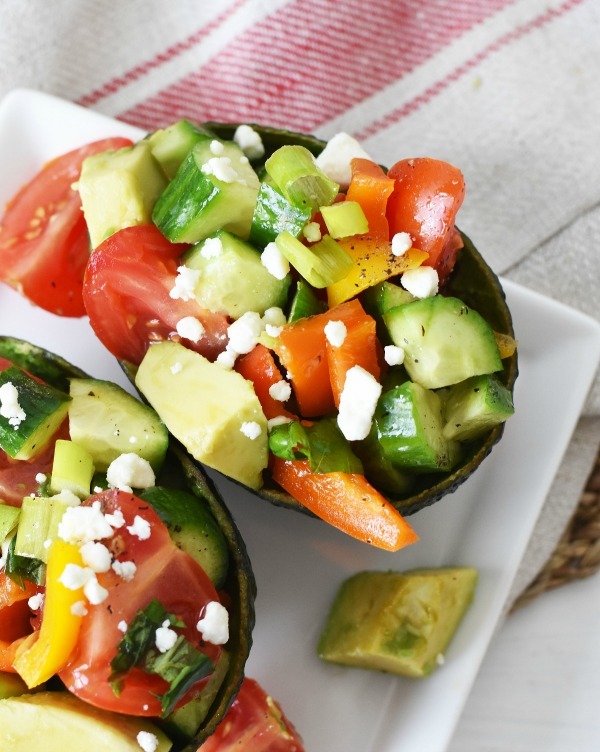 Serve in avocado shells, or a bowl topped with a small amount of feta cheese- Enjoy! As you can see, eating healthier does not have to be hard. Join the Healthy For Good movement to get inspired and educated. Go to www.heart.org/HealthyForGood and scroll down and click “join the movement”. 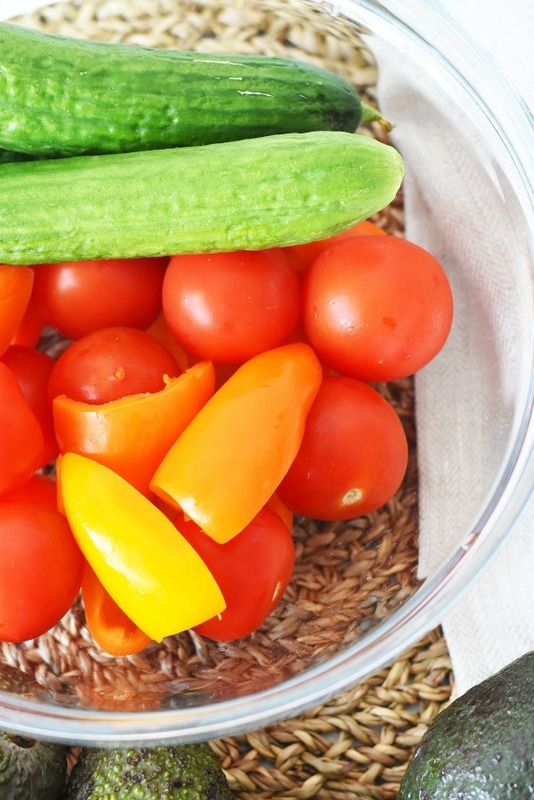 This site can help you to eat smart, and add more color to your diet. Feta makes everything better, doesn’t it? I can’t wait to try this awesome salad. 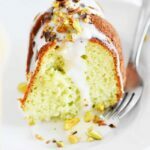 My boyfriend is a huge avocado fan, I definitely want to try this recipe out for him. He loves salads and many nights will eat a large salad instead of a meal. This salad looks like something he will love! Ahhh! That sounds so good! 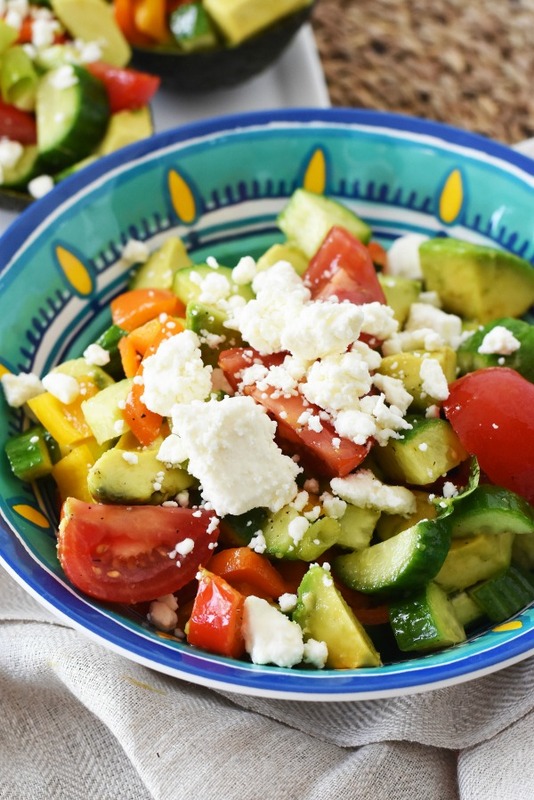 The combination of feta and avocado is one I’ve always loved. Thanks so much for sharing this! That salad looks so good, I think I will make it for my next church brunch! 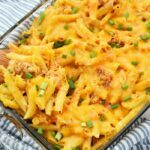 I am a sucker for trying new salads, so this will definitely be on the table this week! It looks absolutely delicious! This salad looks really good. I love the creamy texture of avocado. Mmm, feta. I love this salad already. It’s so important to eat healthy. This salad has everything I like in it. I will have to give it a try this weekend. All I need to pick up is some Feta cheese. Yum! That salad looks amazing! I am so sorry about your Dad but so glad you are striving for a better lifestyle. This salad looks so yummy and refreshing. I would eat this everyday! 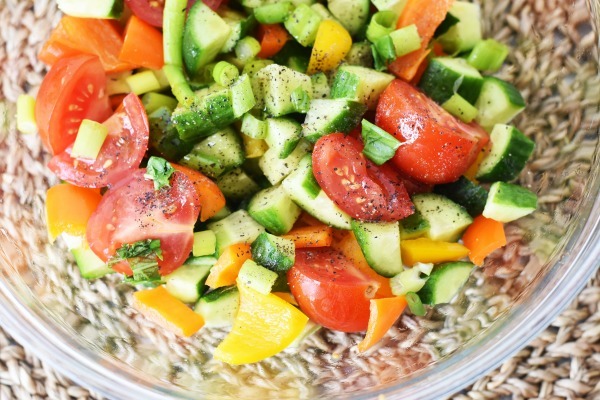 Oh this is the perfect summertime salad! I am going to to give this one a try!! This salad sounds amazing! I’ll be sure to use Frigo Feta cheese on sale for just $2.50 at Safeway!